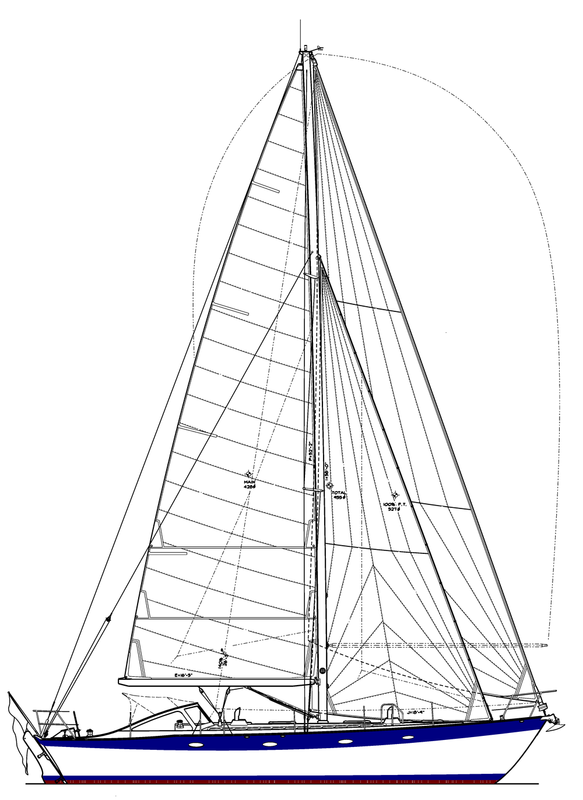 A beautifully built wooden moderate displacement sailing yacht. Mix together an inspired client, a talented design team, and a master builder and what will emerge from the shed is a magnificent creation like Gusto. Expertly built by French & Webb from cold molded mahogany, cedar and Douglas fir, Gusto is a solid performer capable of sleeper finishes in offshore races. Her long keel is a true NACA section and the large propeller aperture allows for the use of a fully balanced rudder. Great effort went into the rudder design and sailplan geometry in order to ensure a light helm. Yes, that is a tiller you see on the deck plan. The most comfortable driving position is on the windward coaming holding a tiller extension - just like a J/24 and just as much fun. The interior and cockpit are designed with passagemaking in mind. The windscreen provides secure shelter topside and there are plenty of places below to brace against the boat's motion. 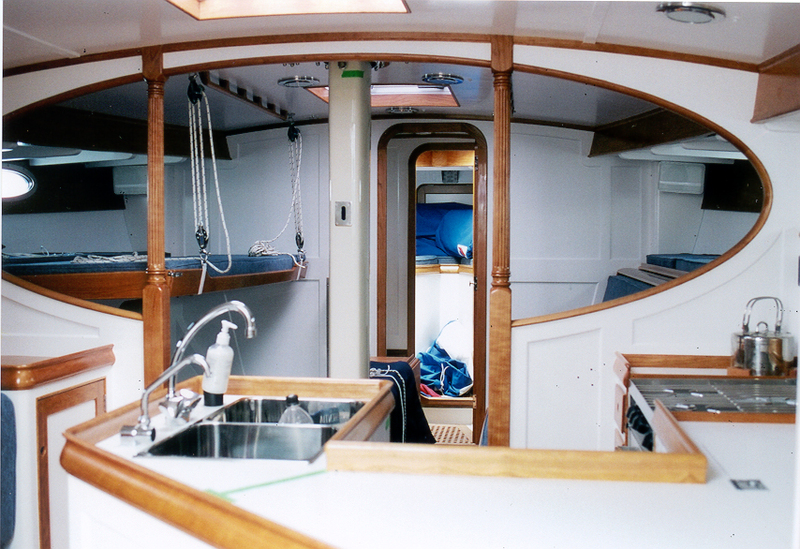 The main berths can be pivoted with handy billies to a level position regardless of heel. Behind the shower stall is the entrance to a true engine room - a rare feature on a boat this small. Maintenance happens much more frequently when one doesn't need to be a contortionist or tear apart the interior to accomplish basic tasks.